Can someone give me an idiot guide on how to post pics to topics. Have tried everything and can't get it work. The easiest way is to host them on an external site. 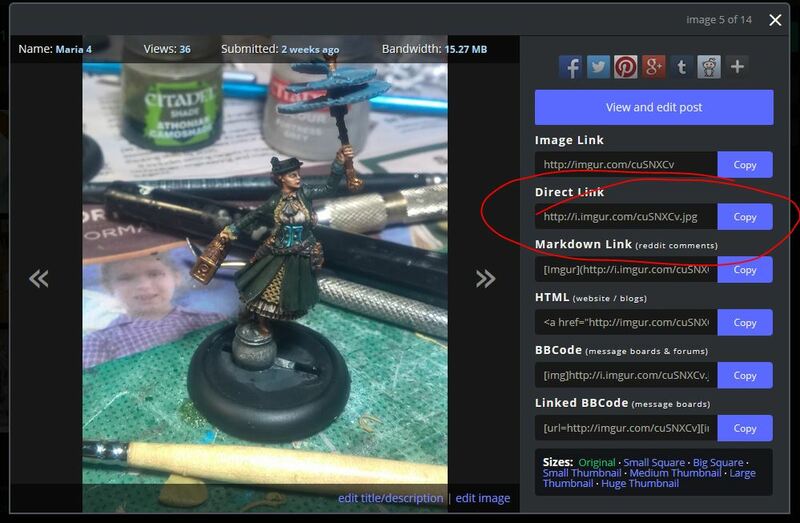 Once you upload your image to the hosting site you will see a note regarding a "direct link". Copy that link and write your post. When you are ready click the "add image" button at the top of the posting window. It will add two tags [ img ] and [ /img ] with the cursor flashing between them. Paste your link url in there and you are done. I remember how confusing I found this way back when I first started posting on a forum! It's an unexpectedly roundabout process. If you need help pippa, let us know and we can walk you through it. It's easy once you know what to do, there are just a couple of little steps in the process. I've used other pic formats on other forum sites using the [ img ][ /img ] format without any problems. I'm not sure about the jpg thing. I imagine whatever the site that you upload to will cope with would work (jpg, gif etc). I normally use jpg files but that's just what my phone/camera take so it's what I use. Oh yes yes I didn't mean it like that! Of course any image file extension will be fine, whether it's .jpg, .gif or whatever else. I only meant that it's a common trap I've noticed for people to post the wrong type of link inside the image tags, ie. one of those non--direct-image links that photobucket etc can give you sometimes. Sorry to be confusing, my fault! Finally got around to looking at this and got it to work thanks to the idiot proof instructions, much appreciated! Haven't been on the forum for a while but now I have my toys will have to check more often. Am hoping for lots of inspirational pics as people start painting things.